Jørpeland harbour is beautifully located by the foot of the Norwegian mountains and is the natural last stop before entering the amazing Lysefjorden that cuts dramatically 42 km into the Norwegian mainland, 600 meters below the world famous Pulpit Rock. The harbour is a 15 minutes’ drive and 1,5 hour’s walk from its spectacular view, and Jørpeland is simply called the Pulpit Rock Village. 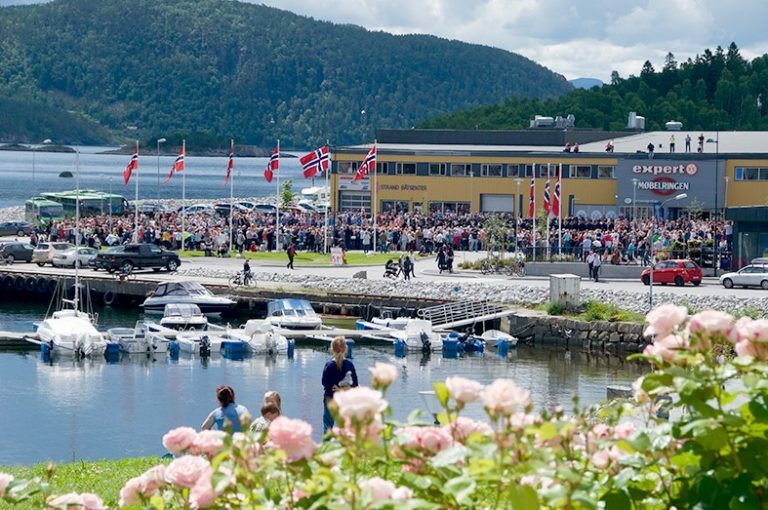 Jørpeland holds all facilities including a wide range of shops and has easy access by bus to the ferry port at Tau for easy connections with Stavanger city centre.